Poker Bonus Whoring - Is it Worth it? Bonus whoring is exactly what it sounds like – augmenting your online poker bankroll by enrolling at multiple websites and racking up bonus money. The name “bonus whoring” seems harsh at first, but online poker players don’t really look down on people who play for bonuses. After all, it isn’t illegal to be a bonus whore. Bonus whoring, by definition, is the act of playing at a given poker site just to take advantage of a reload or other promotional bonus. Bonus whores don’t stop there – they “chase” bonuses from site to site. I’ve even seen some bonus whores including their bonuses in monthly win/loss numbers, as though it were part of the game. Any online poker site worth doing business with offers some kind of incentive for signing up. It didn’t take poker players long to figure out that you can bolster your bankroll pretty well over the course of a year or two just by taking advantage of legal bonus offers around the Internet. Sounds easy, right? Unfortunately, you’ll have to work pretty hard for your bonus money, and bonus whoring can take away from your time playing the game you love. If you’re really driven and know how to work the bonus world, you can add a good deal of cash to your accounts in just a few months’ time. What is a Raked Hand? The key to understanding bonus whoring is understanding raked hands. A raked hand is a poker hand where some small amount of money has been deducted from the pot – usually about a quarter. This money is the “cut” taken by the house. Online poker rooms often use rake amounts to pay out poker bonuses. This ensures that you’re playing enough poker to "earn" the bonus money. One of the first decisions you make when you decide to become a bonus whore is how many tables you are able to play at, earn rake, and still play decent poker. Obviously, playing more tables means earning more rake points per hour. The downside – don’t play at so many tables that your game suffers. Play enough tables that you’re earning rake points, but not so many that you’re losing all the time. The key to making money while you bonus whore is to know that bonus whoring is only profitable if you are winning often or at very least are a break-even poker player. If you lose more than you win, no amount of bonus money will offset your poor poker play. Really good poker players make good bonus whores. Strangely enough, it is not the really good poker players who want to bonus whore. Usually, people start bonus whoring to amplify their bankroll. It is almost impossible to be a really active bonus whore and still play your cards right. Who Makes the Best Bonus Whores? If you have a small bankroll and play really small limit games, the bonuses you earn from whoring are a substantial percentage of your total bankroll. While there are some micro-limit poker players who also happen to be excellent at the game (a requirement for proper bonus whoring), this isn’t all that common. Poker players adding additional money to an existing online poker account. If you’re looking to add a chunk of change to your bankroll, short-term bonus whoring can be fruitful enough, but how often do you add a large amount to your poker accounts? Again, this is a rare occasion. Poker players who change their poker site really often. If you’re constantly changing your “go to” poker site, a little bonus whoring goes right along with the territory. Outside of these occasions, bonus whoring is usually a losing game. 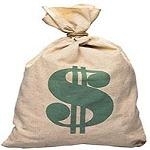 Most online poker players don’t really play well enough to earn money on bonuses. The other downside to bonus whoring is how difficult it can be to move your money around. Proper bonus whoring requires a lot of fancy financial footwork (moving money from one online poker account to another) and that takes up more time than you’d think. Bonus whoring is not just a matter of sitting back and raking up rake points. Some of your accounts will have a minimum you have to maintain while others may require that you withdraw a specific way in specific amounts at specific times. Dealing with your various accounts can be a real headache. What is the Best Deposit and Withdrawal Method for Bonus Whoring? Because moving money around can be such a drag, you’re best off using an "eWallet" to transfer money on your poker accounts. When possible, use an e-wallet to avoid problems and delays when withdrawing/sending money. "eWallet" services work like Paypal – you pay small deposit/withdrawal fees so that you can move money from your bank accounts or even credit cards, and store that cash online in your eWallet account. eWallets make playing poker and moving money between multiple sites (a requirement for bonus whoring) really convenient. Stop using your credit cards or checks, dealing with delays, or constantly sending out your ID information – use an eWallet service instead. The only downside is that there aren't currently any online poker eWallets that will deal with USA players. Check out this list of poker deposit options to learn about alternatives for USA players. Bonus whoring will be around as long as bonuses are offered. I don’t think it is fair to say, as some do, that the majority of online poker players are bonus whores. It isn’t always a winning strategy, and for most poker players, the negative impact bonus whoring has on their win/loss ratio is enough to abandon the idea altogether.